Augmented Reality and Virtual Reality are at the forefront of digital culture today, and arguably learning is their most important application. AR & VR are great vehicles for quickly developing skills and expanding knowledge. Is your microlearning online training library making the best use of these new technologies? Microlearning improves knowledge retention and makes learning more convenient for busy employees. If knowledge and skills are best learned in chunks, then they are only as good the quality of those chunks. AR and VR bring something truly extraordinary to an already cutting-edge idea like microlearning by providing a truly immersive and experiential learning experience that is geared for efficiency and effectiveness. The variety of AR/VR activities for microlearning grows every day as the idea gathers momentum in both corporate and educational institutions. Let’s look at 10 great AR/VR activities for microlearning. Combine online training simulations with AR tech to enhance the immersion. Give new hires the opportunity to tour the work environment before their first day on the job. They’re able to see their workstations and familiarize themselves with the facility or even interact with customer personas to build experience and learn from their mistakes. Employees become miniature versions of themselves so that they can explore the product in greater detail. Let them walk into your new device or view the chemical makeup of your latest cosmetic product. You can also use this approach in safety online training. For example, warehouse employees can step into heavy machinery to see how it works and how to prevent work-related injuries. Speaking in public is a difficult task for people who are not used to it, and even for some professionals. Apps like Public Speaking VR are great tools to help build confidence, experience, and practice speaking to crowds. Managers can even speak to a group of subordinates and hone their team-building and leadership skills. Your staff can perform job-related tasks without having to deal with real-world repercussions. This can be used for virtually any process that pertains to their work duties, from customer returns to handling dangerous chemicals. Even seemingly mundane processes can be transformed into exciting VR demos. For example, completing a sale using the new terminals while dealing with a particularly difficult customer. In this case, the employee improves their communication skills without risking low customer satisfaction scores. VR and AR are also great assessment tools. Invite employees to participate in AR/VR scenarios or online training simulations, then gauge their performance. Provide immediate feedback and then let them retry the online training activity to see how they improve. Better still, follow up with additional AR/VR activities for microlearning to bridge the newly found gaps. Employees are encouraged to make on-the-spot decisions while immersed in a VR branching scenario. Each response leads them down a different path and, eventually, a negative or positive outcome. Instead of merely clicking on a response, employees are able to interact with virtual characters and environments that evoke real world emotions. Your staff may face countless obstacles on a daily basis, as well as the occasional emergency that requires them to stay alert. An emergency preparedness VR online training tutorial gives them the power to live through the event and come out unscathed. In the process, they gain valuable experience and test their reaction to stressful situations. These online training tools are ideally suited for microlearning because they limit the pressures your employees must endure, rather than barraging them with a myriad of challenging tasks and dilemmas that cause cognitive overload and emotional strain. These serious games can feature VR elements employees can interact with in order to complete tasks and advance levels, or full-fledged VR environments that allow them to step inside true-to-life situations and challenges. While they build vital skills, employees earn badges, points, and other intangible rewards that fuel their motivation. You can even create fictional worlds filled with interesting characters to give them a good dose of entertainment. Just make certain that the fantasy-rich settings don’t overshadow the subject matter. Infographics are already powerful online training resources that provide bite-sized bits of information. Thereby, improving knowledge retention and recall. However, AR/VR activities for microlearning makes them even more beneficial for your distributed workforce. Employees can literally explore the infographic firsthand and analyze each item in greater detail. For example, zoom in on the chart of graph to evaluate the relationship between the stats and facts. Or walk among the demographic map to better understand customer needs and buying habits. 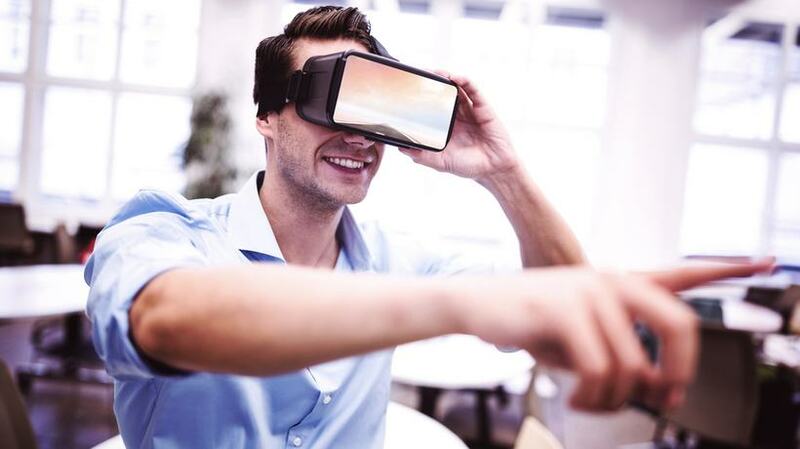 Instead of merely presenting employees with a text-based case study, transform it into an emotionally-centered experience with the help of VR. Case studies tend to involve large quantities of data, such as statistics and profiles. Virtual reality brings the facts to life and enables employees to comprehend the series of events. They can determine how one factor or decision led to the outcome, as well as gain a better understanding of the context and how it relates to their work practices. The possibilities that microlearning offers in combination with the ground-breaking technology of AR and VR are simply staggering. We might be the last generation to be trained in what will soon be the "old ways". AR/VR activities for microlearning allow us to remember information more rapidly and experience the knowledge firsthand. Microlearning allows us to continue to learn and grow along with a busy life, taking away some of the most common barriers of online training, by making it more accessible and bite sized. What is AR/VR’s true potential for online training? 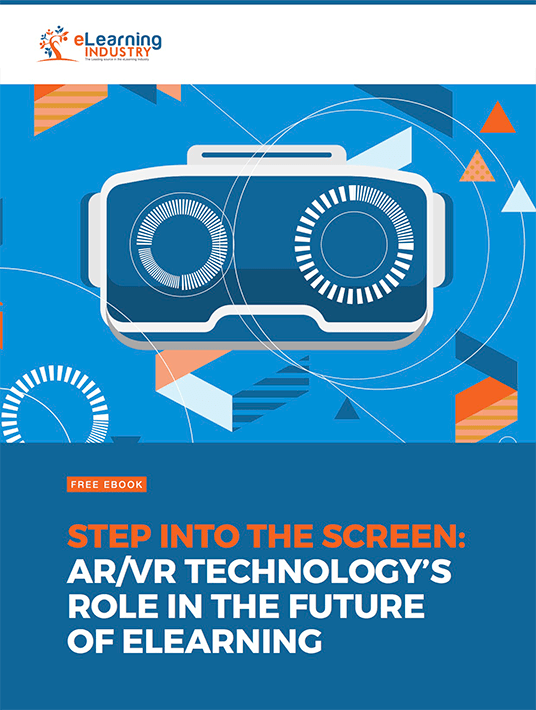 Download our free eBook Step Into The Screen: AR/VR Technology's Role In The Future Of eLearning to discover how AR and VR can benefit your eLearning course. You’ll also learn how to develop your own alternate reality activities that enhance the value of your online training.